Buy a shirt to help raise money for Breast Cancer research today! All funds raised will go directly to The Susan G. Komen Breast Cancer Foundation, Inc. .
October is National Breast Cancer Awareness month! Forest Lane Pediatrics would like to invite you to join our fundraising efforts in support of Susan G. Komen Breast Cancer Foundation. Purchase a T-Shirt, and all proceeds go directly to Susan G. Komen Foundation! 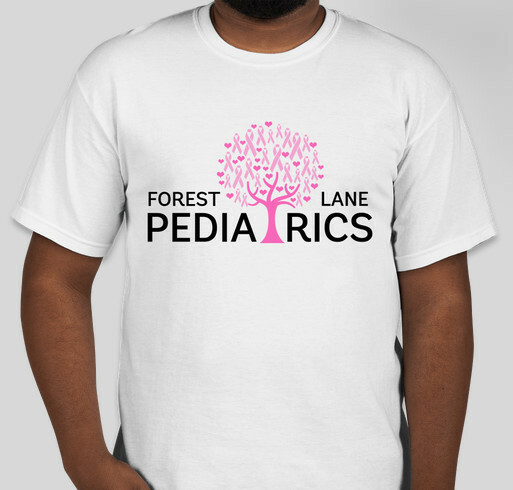 Share Why You Support "Forest Lane Pediatrics' Fundraiser Supporting Susan G. Komen Breast Cancer Foundation"